We are manufacturer and exporter in Granite Table Tops, granite tiles, slate, sand stone, monument, pebbles, cobbles, natural stone, marbles. We are making in all type for granite kitchen counter-in all size and all colours. Granite in strong material good quality and export polished. We also offer Black Granite and Royal Cream Tabletop. in customized sizes. We offer these countertops in all sizes as required by our clients. We are engaged in presenting a wide range of Granite Table Top. 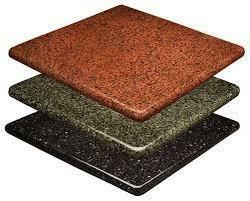 Offered range of Granite Table Top is available with us in variety of design and colors with us. This Granite Table Top is highly demanded for its good price and easily availability. Vajra's product range comprises of slabs, cut to size tiles, markers, table tops, kitchen slabs, flamed granite. We are manufacturer and exporter in granite slab, granite tiles, slate, sand stone, monument, pebbles, cobbles, natural stone, marbles. We are making in all type for granite kitchen counter-in all size and all colours. Granite in strong material good quality and export polished. We are successfully meeting the requirements of our clients by offering the best quality range of Asian Top Granite Slab. 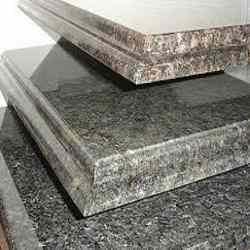 We are specialized in offering Granite Table Tops that are manufactured using tough and durable granite. Polished to perfection, these granites easily improve the look of any exterior or interior of a building. We offer these in different shapes and sizes to suit the requirements of the clients. Customers moWe are highly acknowledged organization engaged in presenting remarkable range of Granite Table Top.